I heard the Good News for the first time when I was fourteen years old. I was painfully aware of my own failure, but I realized for the first time that there was a solution. Jesus offered grace for me, a sinner, and I stumbled after it like a starving man after bread. But I so quickly got caught up in the web of self-righteousness and law. I tried so hard to be worthy of the gospel, fought to earn something that was already mine. Grace can so easily get lost in pride – when we think we have control over our own performance. Or, as I tend to lean, towards the other extreme of shame. I heap guilt upon myself for all my failures, diminishing what Christ has already accomplished for me. I remember the first time someone looked at me with compassion in her eyes and read Romans 8.1 to me. I had run from God and His People, had tried to loosen His grip on me by living however I wanted. I found myself back at His feet but now drowning in guilt over the way I had been living my life. A Bible study leader in the college ministry I found myself in told me “there is no condemnation for those who belong to Christ Jesus,” that I was righteous in Him. Tears streaming down my face I cried, “Why didn’t anyone tell me this before?” She preached the Good News to me all over again. 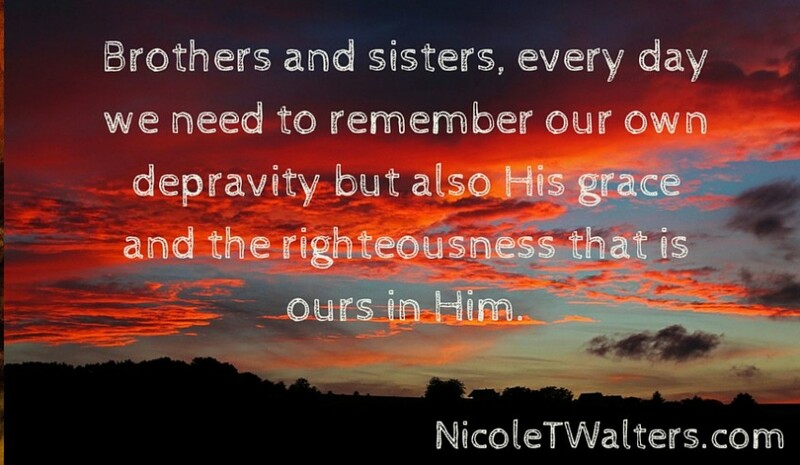 Brothers and sisters, every day we need to remember our own depravity but also His grace and the righteousness that is ours in Him. To truly have quiet hearts, lets flee to Jesus and remember daily what He has already finished. Notice this: This is day 5 of 31 Days of a Quiet Heart. Visit the Quiet Heart page to see all the posts in the series. If you would like to receive new posts in your email inbox, subscribe now. PLEASE JOIN THE DISCUSSION. CLICK “CONTINUE READING” TO COMMENT!